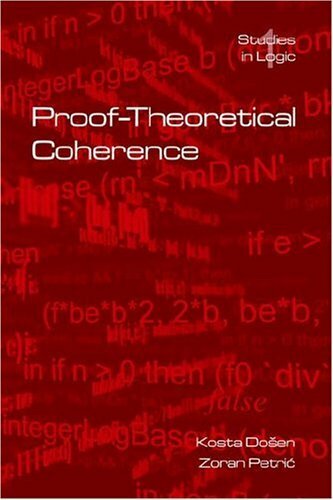 This book in categorial proof theory formulates in terms of category theory a generalization close to linear albegra of the notions of distributive lattice and Boolean algebra. These notions of distributive lattice category and Boolean category codify a plausible nontrivial notion of identity of proofs in classical propositional logic, which is in accordance with Gentzen's cut-elimination procedure for multiple-conclusion sequents modified by admitting new principles called union of proofs and zero proofs. It is proved that these notions of category are coherent in the sense that there is a faithful structure-preserving functor from freely generated distributive lattice categories and Boolean categories into the category whose arrows are relations between finite ordinals - a category related to generality of proofs and to the notion of natural transformation. These coherence results yield a simple decision procedure for equality of proofs. Coherence in the same sense is also proved for various more general notions of category that enter into the notions of distributive lattice category and Boolean category. Some of these coherence results, like those for monoidal and symmetric monoidal categories, are well known, but are here presented in a new light. The key to this categorization of the proof theory of classical propositional logic is distribution of conjunction over disjunction that is not an isomorphism as in cartesian closed categories.